As I sit here eating my chocolate bunny, I’m contemplating about where I’m going to be, and what I’m going to be doing, by the end of my first Year of Creative Habits. I’m always going back and forth on whether I should be asking, “Will I be able to make a living doing this someday?” or “When will it happen?” Of course, the second question is a much more positive answer, though I’m constantly living each day with a bit of a pain in my stomach from the stress. Of course, that’s also likely due to the chocolate bunny I just devoured. Hello! 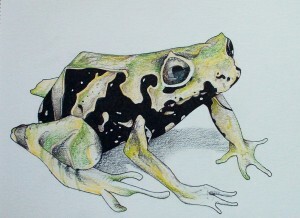 Here’s the finished version of my shape-shifting frog. 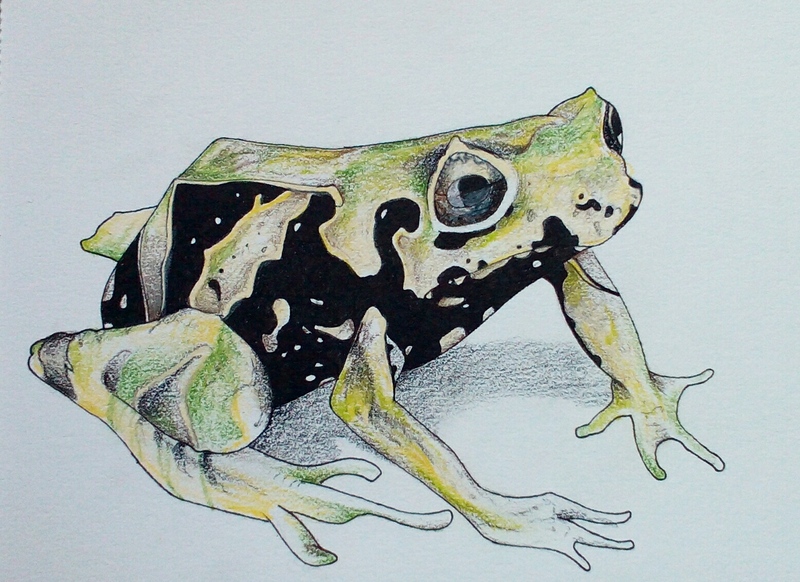 In case you missed it, this is an actual frog (though I took a few liberties with it) that I wrote about in yesterday’s post, but here’s the link to the science article if you’re interested in checking out the validity. Shape-shifting frogs; where does nature go from there? I mean, once something grows to learn how to alter it’s skin to form spikes, as was the case with this frog, I have no idea what could possibly top that. Oh, wait …yes I do, invisible frogs.